Here is a brief excerpt from an interview of Ray Stata by Abhijit Mahindroo and Nick Santhanam for the McKinsey Quarterly, published by McKinsey & Company. To read the complete article, check out other resources, learn more about the firm, obtain subscription information, and register to receive email alerts, please click here. The path to a start-up can be complicated. Can you tell us how Analog came to be? After graduating from the Massachusetts Institute of Technology [MIT], I started working for Hewlett-Packard to learn about business, since I wanted to start my own company. Matt Lorber, a fellow student at MIT with whom I shared an apartment, also had the itch to start a business. We talked a lot about what to do and how to do it without any great ideas. So we took the plunge without a real business plan and little money and founded Solid State Instruments, based on our experience at MIT’s Instrumentation Labs. The company was a failure from most perspectives, except that it was acquired by Kollmorgen’s control division within a year. The sale provided a nest egg to fund Analog Devices later. More important, through our experience building instruments and controls for Kollmorgen, we learned about the emerging market for modular operational amplifiers. At Solid State, we decided to buy the op amps used in our instruments, rather than design and manufacture them. We later started Analog Devices to compete with our suppliers. New companies might benefit from hearing how Analog Devices grew from a start-up to a mature enterprise. What helped you in this journey? First, we had a tolerance for risk and readily adapted to changes in the environment. When we founded Analog Devices in 1965, there were no linear integrated circuits [ICs]. We designed op amps using discrete transistors, resistors, and capacitors. In 1967, the first IC op amps were introduced. The performance of these devices was no match for our hand-assembled modules, but they became better each year and were an order of magnitude cheaper. So I decided in 1969 to get into the semiconductor business and to design and manufacture IC op amps, targeted at high-performance applications in the instrumentation and military markets where our modular op amps were selling well. 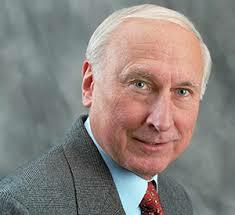 To learn more about Ray Stata, please click here.